Last week in Austin it was 109 degrees, I (Lauren) am from Florida and still have never experienced that kind of heat before. It’s seriously crazy. It’s been a record breaking heat wave for a couple of weeks now, hitting the triple digits almost daily. There is one thing I run to for refreshment when it’s this hot: agua fresca. These to me are the most satisfying when it comes to quenching your thirst during summer. 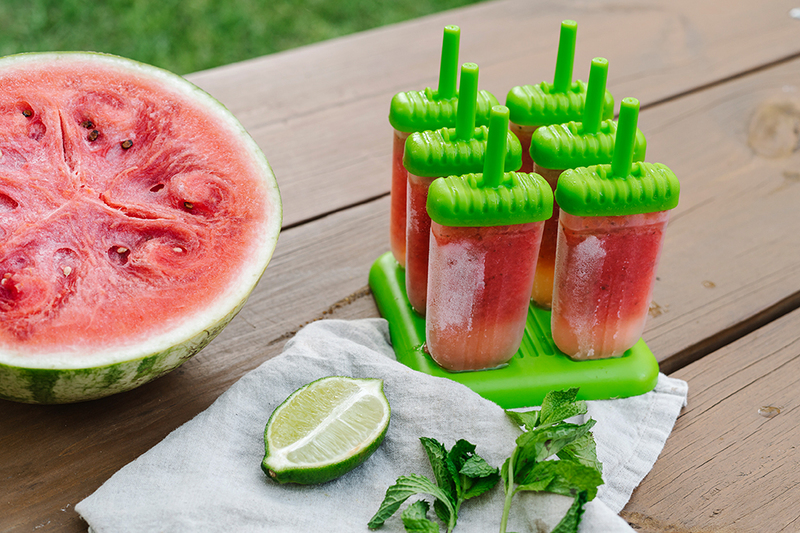 This week I’m taking it to the next level by adding a bit of vodka and a turning this refreshing drink into a popsicle. 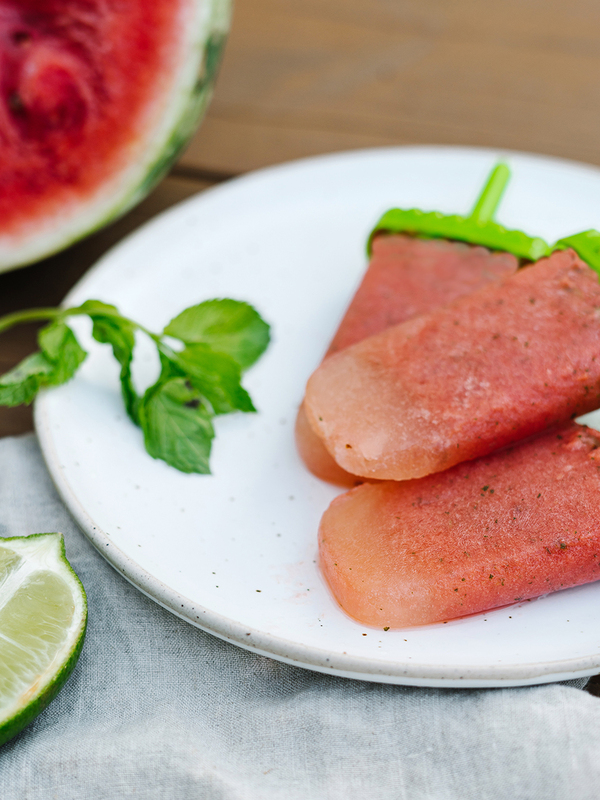 Instead of a poolside cocktail, you need these boozy watermelon mint agua fresca popsicles. 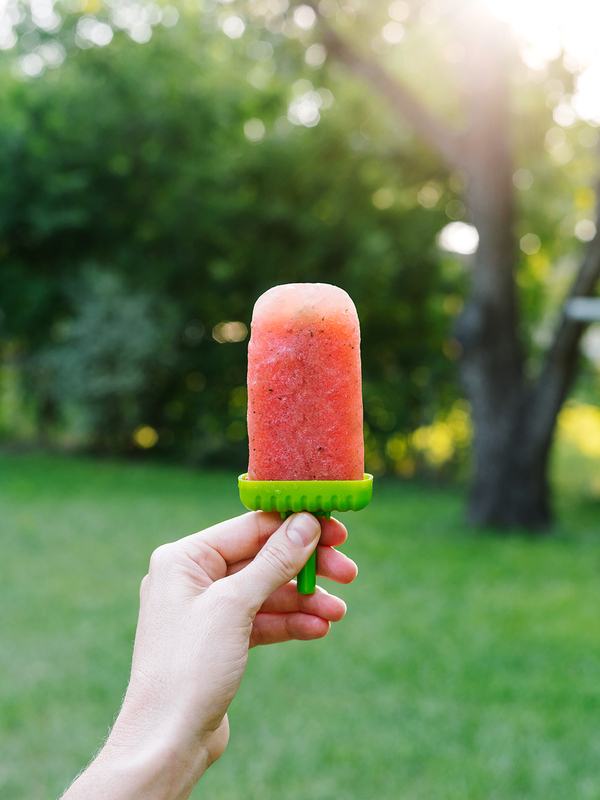 There is literally nothing better than this treat in your hand while you sweat poolside with friends. Besides being seriously delicious, these are SO easy to make. You only need 4 ingredients and a blender. The Mexican drink agua fresca (meaning fresh water or cool water) is a simple fruit drink made with fruit, water, and lime juice. 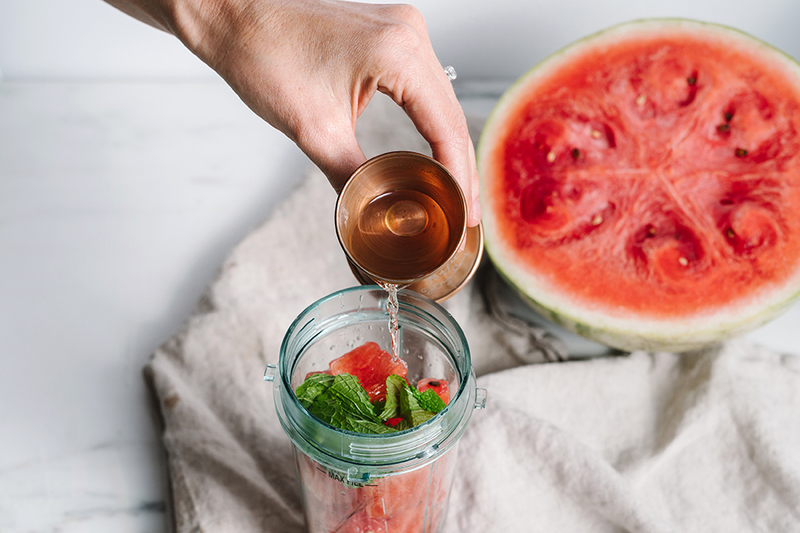 It’s that perfect something extra–not just cold water but also not a super sweet juice. Similar to the flavored water trend that is everywhere right now, this drink offers just enough fruitiness without the fake fruit taste or mysterious natural flavorings. 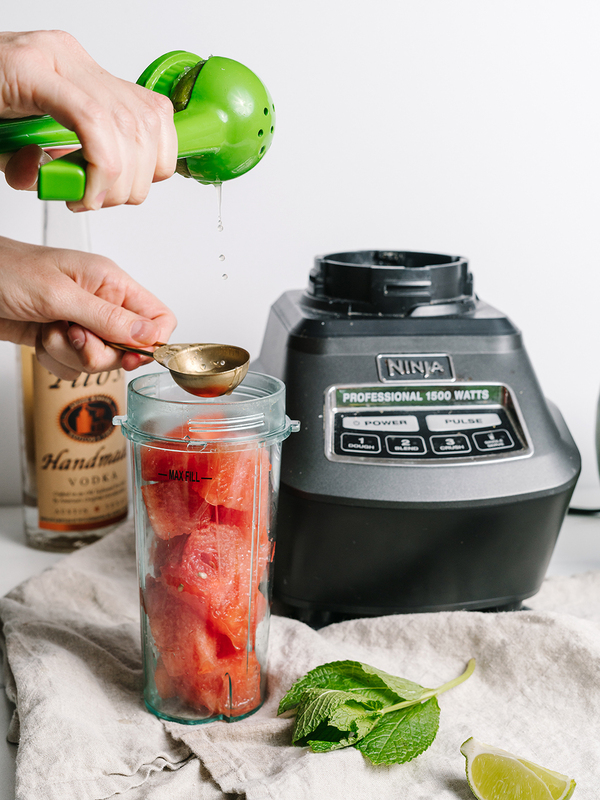 The base for this recipe is watermelon juice but don’t worry, you don’t need a fancy juicer, just a blender. Now, as a gluten free food writer, I can’t go on without a side note about gluten and alcohol. It’s important to note that not all liquors are gluten free. In this instance, the vodka you choose should be a potato vodka, otherwise it’s likely made with wheat and is not doable for a celiac or gluten intolerant person. 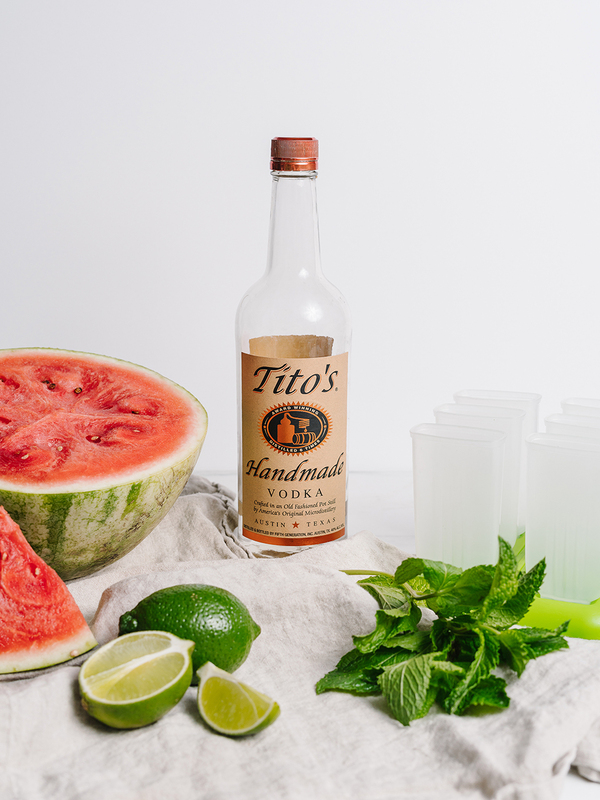 A favorite of mine is Tito’s Vodka. You could also try this recipe with rum or tequila which are also made from ingredients that do not contain gluten. And of course, this can be made without the alcohol and it is just as yummy! There is one thing I run to for refreshment when it’s this hot: agua fresca. 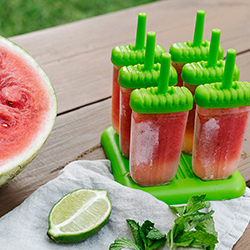 Take this refreshing drink to the next level by adding a bit of vodka it into a popsicle. 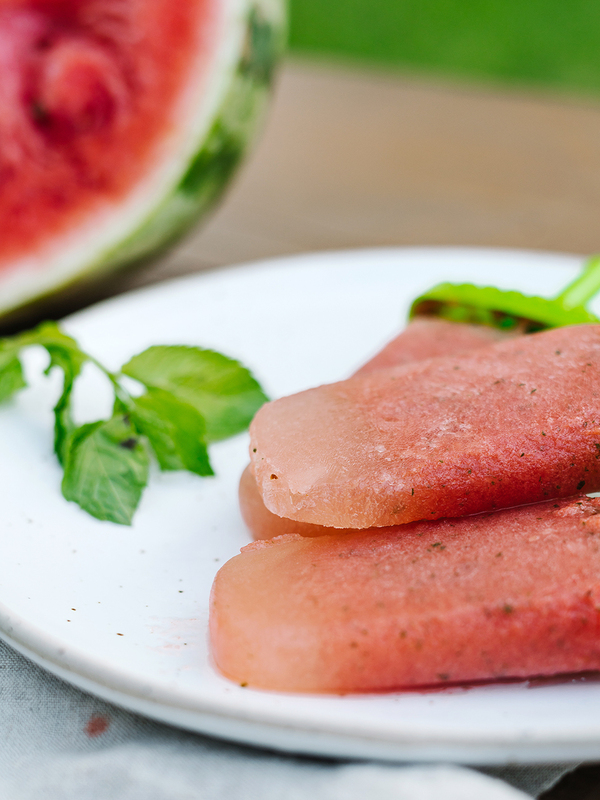 Instead a poolside cocktail, these popsicles are your new summer staple. Slice the watermelon in half, preferable a seedless (this makes things much simpler). 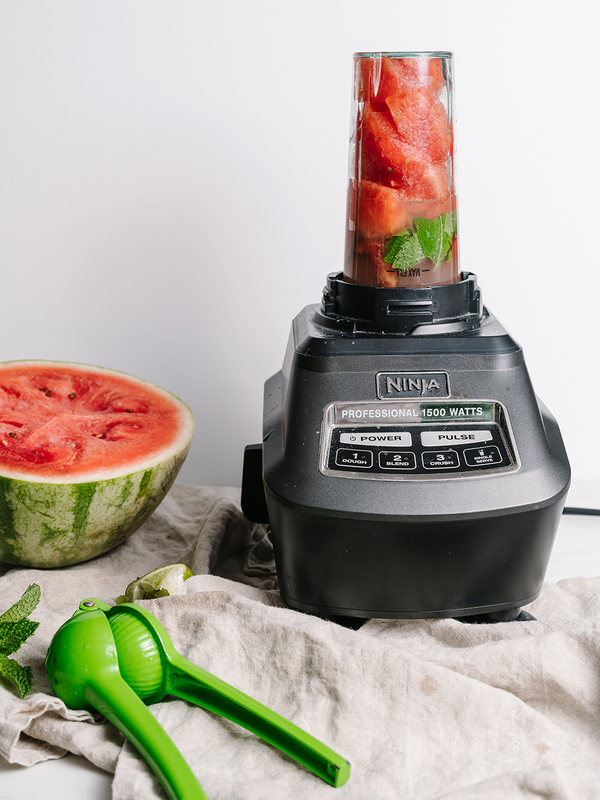 Cut watermelon into chunks and place into blender. Discard the rind. Add mint leaves, vodka and fresh lime juice. Blend for a minute until totally pulverized. Enjoy on a hot day poolside with friends! 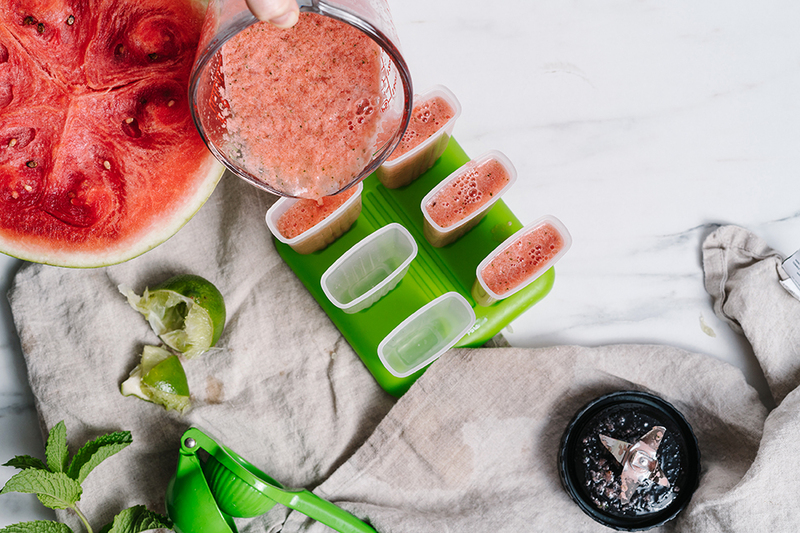 Looking for another creative and yummy summer watermelon recipe? Check out this Summer Salad Recipe! These look really good! Surprisingly, Michigan can get that hot in the summer and with the humidity, it’s the worst. It can also be 75 with very high humidity and still feel like in the 100’s! Crazy!